This paper presents a novel smart eyewear that uses embedded photo reflective sensors and machine learning to recognize a wearer’s facial expressions in daily life. We leverage the skin deformation when wearers change their facial expressions. With small photo reflective sensors, we measure the proximity between the skin surface on a face and the eyewear frame where 17 sensors are integrated. A Support Vector Machine (SVM) algorithm was applied for the sensor information. 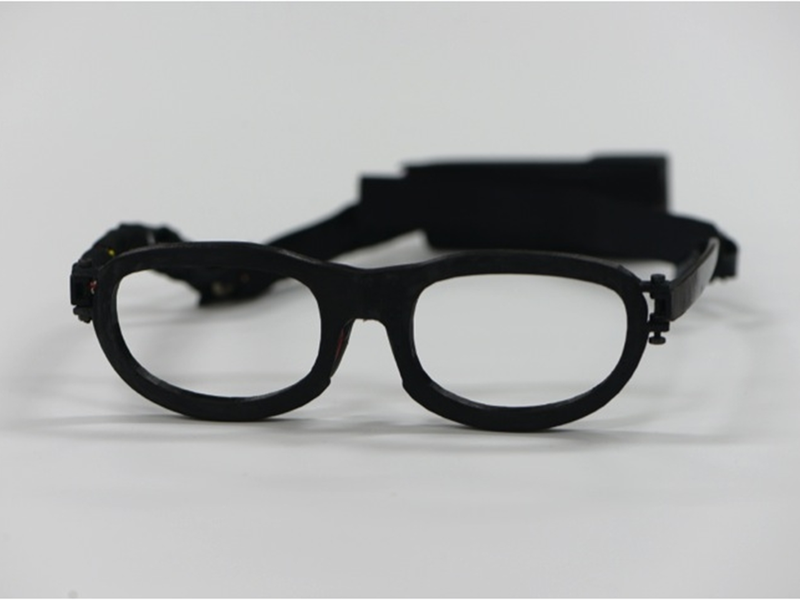 The sensors can cover various facial muscle movements and can be integrated into everyday glasses. The main contributions of our work are as follows. (1) The eyewear recognizes eight facial expressions (92.8% accuracy for one time use and 78.1% for use on 3 different days). (2) It is designed and implemented considering social acceptability. The device looks like normal eyewear, so users can wear it anytime, anywhere. (3) Initial field trials in daily life were undertaken. Our work is one of the first attempts to recognize and evaluate a variety of facial expressions in the form of an unobtrusive wearable device.